I've made a large batch of Chicken Tortilla Soup for the evenings this week. I won't have time to cook so this is minimal effort, without take out. Plus, it's delicious! 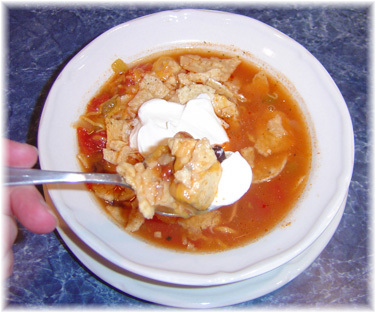 I love chicken tortilla soup! Enjoy your week. Mmmmmm, I could have that all week too. Will you share?